The Spanish Fort real estate market is vibrant with nearly one closing every single day of the year. This is impressive due to the fact that the city isn’t that big but buyers and sellers are benefiting from the attraction. With such a massive financial decision and commitment, you should always partner with a real estate professional to work with you every step of the way. 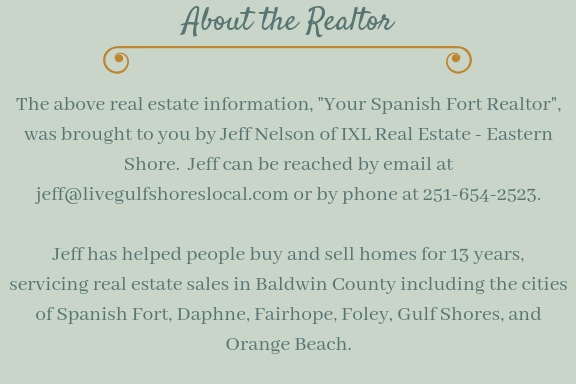 So Why Choose Me As Your Spanish Fort Realtor? The vast majority of people understand the importance of working with a Realtor but there are so many agents who have a license. Who do you pick? All of us agents go through the same requirements to get a real estate license but time-tested experience is the true education. With 13 years experience selling homes, I’ve had the pleasure of sitting at hundreds of closing tables with buyer and sellers from all walks of life. Starting as a business relationship, many of my clients turn into friendships that grow out of the satisfaction of their real estate experience. Your satisfaction is what is the most important to me. Another benefit from working with an experienced Realtor is their exposure to so many homes. I’ve toured well over 10,000 homes over the years, which has given me a unique perspective on what buyers want in a home and what sellers need to do in order to sell their home. I love what I do and I take my job very serious. My most important role is to look after the best interests of my client. My mission in just a few words is, “It’s all about you”. As your realtor, I will strive to get you the best price and the best terms whether you’re a buyer or a seller. If you’re buying a home, I’ll show you every home that you want to see and never re-direct you away from an FSBO. I’ll also never push toward a listing that shows a favorable commission to me. Through strong market condition analysis and tenacity, I’ll work to negotiate the best possible price for you. It doesn’t stop there. After you’re under contract, I’ll orchestrate inspections, take care of the paperwork, and negotiate repairs. As your Realtor when selling a home, I’ll advise you based on solid real estate conditions and I’ll never list your home just to put a sign in your yard. I don’t always tell you what you want to hear but I’ll advise you on what you need to hear in order to sell your home in a timely fashion and for top dollar. 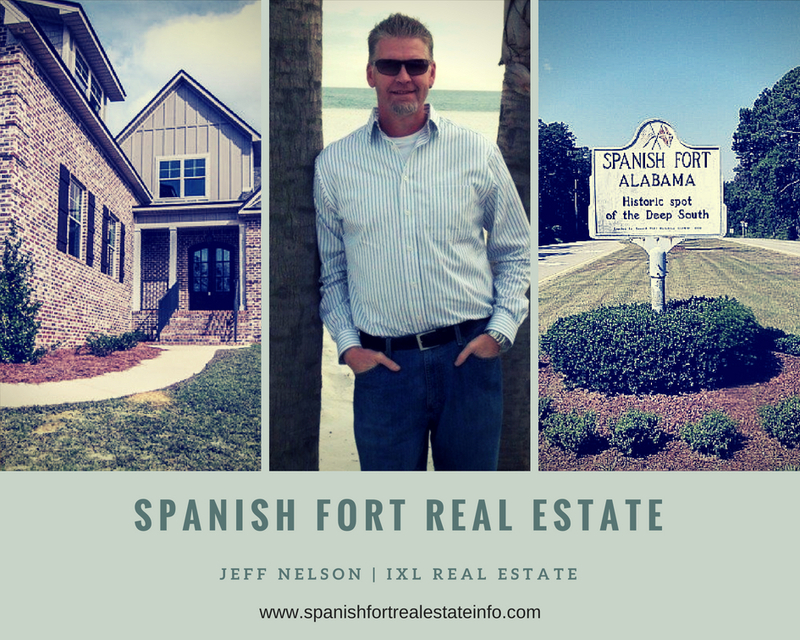 If you are buying or selling a home in Spanish Fort, I want to be your Realtor. Give me a call today and let’s talk! I want to learn about you and your real estate needs.